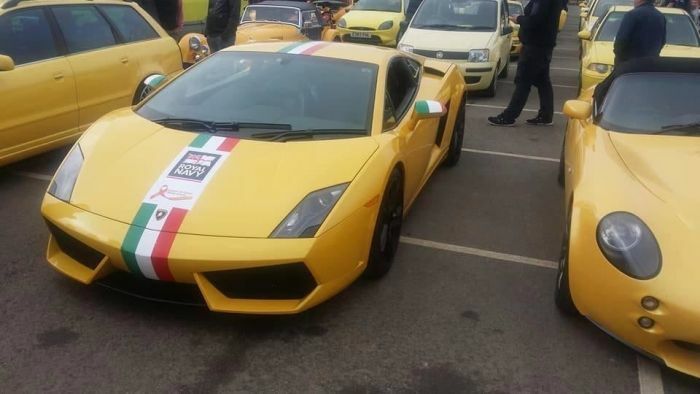 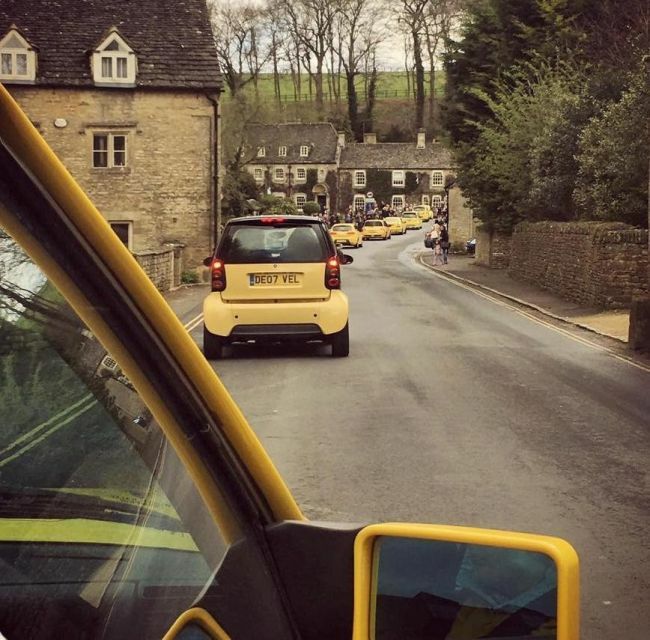 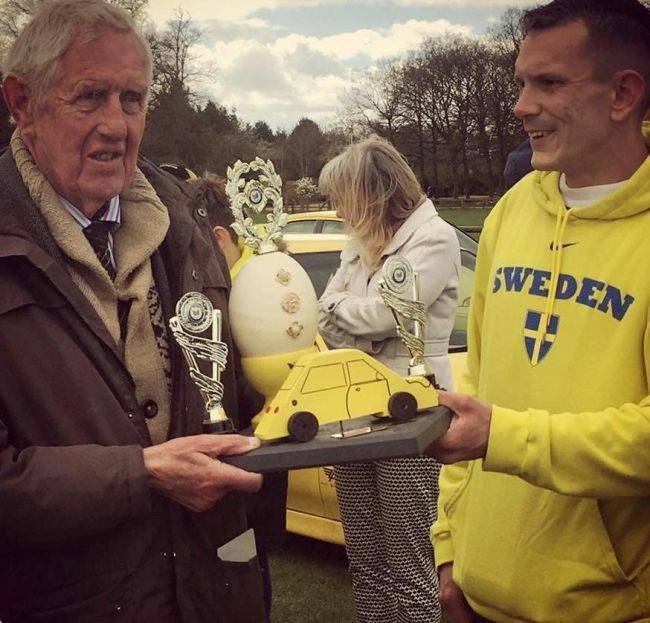 In Britain a convoy of 100 yellow cars showed up to help support a pensioner. 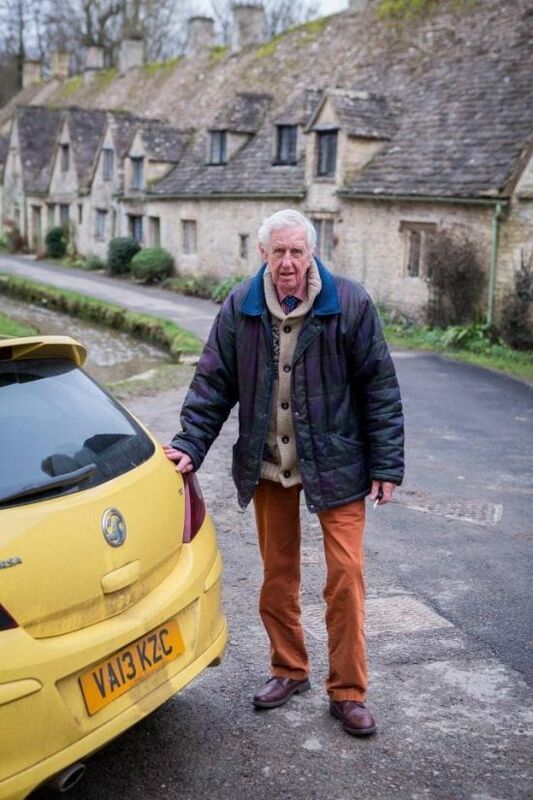 He parks his car in the village of Cotsworld in England, and someone recently vandalized his vehicle for "ruining" the picturesque view of the village. 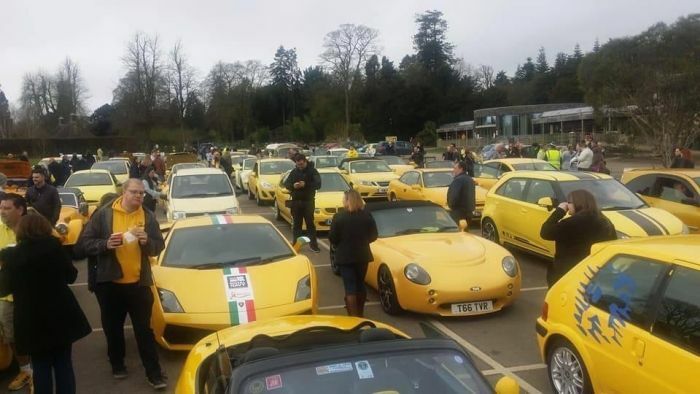 Yellow car owners rallied behind him and he was overwhelmed by the response.